Last week in a report put out by the Los Angeles Times, there has been a 4,378% rise in the number of women seeking “upper arm-lifts” since 2000. The surgeons interviewed in the report did not give the exact reason for such a astronomic rise in the amount of women seeking this particular cosmetic procedure it did state that women “are paying closer attention to the arms of female celebrities.” One of the most popular arms being those of the First Lady Michelle Obama. 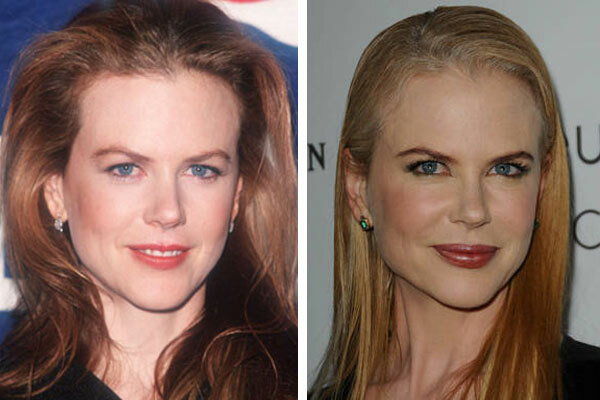 Nicole Kidman has had some radical changes to her appearance over the course of her very public career, some good and some bad. Hair changes=good, extreme botox=bad. Nicole has fallen victim to the overuse of cosmetic “enhancers” and crossed the bridge from naturally beautiful to frighteningly frozen. 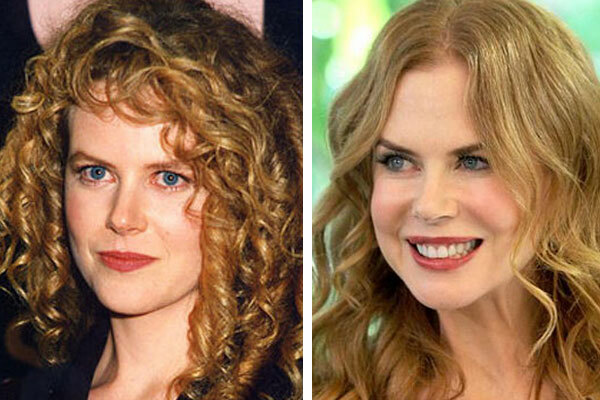 Over the last decade we’ve watched Nicole repeatedly abuse the botox as well as facial fillers and lip plumpers to the point where we think she would melt if ever exposed to sunlight! Think what you must or say what you will but some people just can’t take a hint. When you go from bad to worse then continue to get worse with a plastic surgeon slash face mutilator, you need to speak up and just say No. 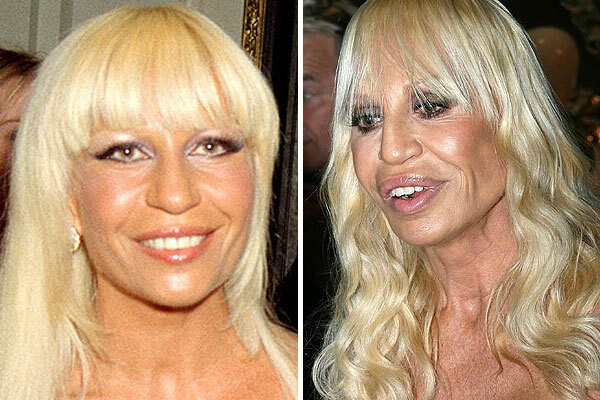 Some one had to tell Donatella Versace that things just were not getting any better each time she would finish up a new procedure. 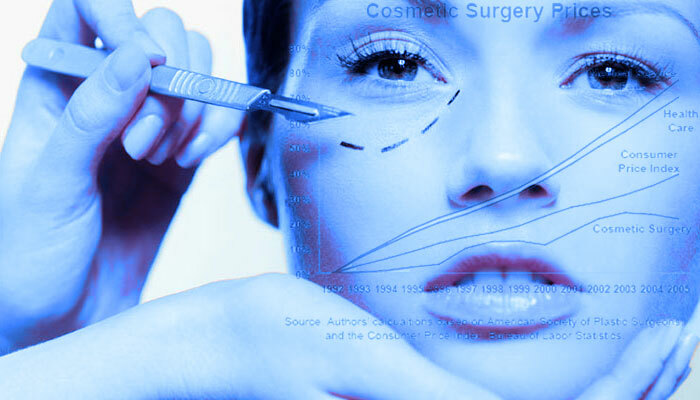 Most noses become smaller after cosmetic surgery, but her’s is now wider, flatter, and slightly crooked indicating multiple surgeries and corrective surgeries. And although genetically blessed with large lips, Donatella has over inflated her top lip with with a filler like collagen for an unattractive “trout pout”. I am sure that after your face starts morphing into something from the living dead, you think that you must have more surgery to fix it up. Just like when you get bad hair cut at a salon. You just don’t just sit there and accept it, you go back the hair stylist and demand that they fix it. I am sure that is what got Donatella Versace into such a mess to begin with. At least with hair you eventually may have to cut it short and start from scratch. God forbid, but at least you could wear wig if you had to and it will grow back. If your hacking up your face in attempt to find the fountain of youth you need to be aware if you smash face first into the rocks at the bottom of the pond. What might be a nice dive for some can be a catastrophe to others. 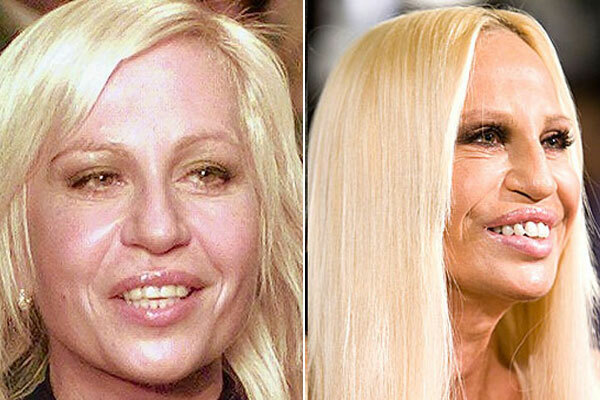 Unfortunately it the opinion of this humble writer that Donatella Versace looked way better before surgery.